We are nearing the end of the 99th Legislature. I want to thank everyone who has supported me and let each of you know how much of an honor and privilege it has been to serve the 32nd Senate District these past four years. 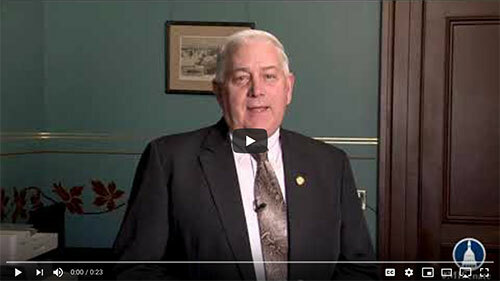 As we look forward to spending time with family and friends during the holiday season, I wanted to share my Christmas message and a few winter resources with you. 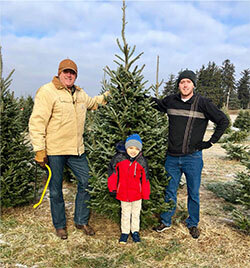 I recently had the pleasure of spending the afternoon outdoors with my son Kevin and grandson Liam looking for the perfect family Christmas tree. It has become a Horn tradition to seek out the perfect tree, and this year, with the help of Liam, I think we found the best tree yet. Within an hour of arrival, we found a seven-footer that will be perfect for bringing in the holiday. Our annual trip to a local Christmas tree farm was a success once again and we hurried home to unpack it and begin with the decorations while enjoying some warm hot cocoa and munching on popcorn balls. I hope you too have an opportunity to enjoy your blessings this holiday season. • Preparing an emergency kit for both your house and your car. Find more information, including the publication How to Prepare for a Winter Storm, at www.michigan.gov/miready. • Shut-off protection for active duty military personnel. Find more information at www.michigan.gov/bewinterwise. The Pure Michigan Winter Travel Guide highlights cold weather fun and adventure, including snowmobiling, skiing and Houghton’s lively winter carnival. There’s even a feature on capturing Michigan’s scenic beauty in great outdoor photos! The travel guide also contains shopping and culinary destinations and memorable spots for indoor and outdoor family activities. Check the digital magazine at www.michigan.org and start planning your trip.